Welcome to the Credit One complaints department brought to you by HissingKitty. Experienced poor customer service? We make it easy to file a formal complaint against Credit One online. Simply use our free form and your feedback will be instantly forwarded for review. Need to contact the Credit One corporate office? We have the mailing address, phone number, and email address listed below. I have received extremely poor customer service from this company. I have two accounts with this company, however one of my accounts closed without any notification. My account was active, and payments were received before they were due. I attempted to make an additional payment, however my bank assumed it was fraudulent activity, and denied the payment. When I noticed my credit card account did not receive my additional payment, I called immediately. The representative could not offer me any explanation as to why I did not receive a closing letter, she refused to transfer me to the collections department since my card was not closed due to lack of payment. and could not assist me in any other way. She just repeated the same sentence," your account was closed". My advice to anyone with an account with Credit One Bank, do not open two accounts with this company. The company is unable to handle the payments on two accounts. The representatives are not all trained properly, and clearly can only read the sentences on the computer screen. After my account was closed they feel that they can still charge late fees and interest rates. I had a card with Capital ONE and after an account is closed then the fees stop and it is to be turned over to a collection or just close the account. It is against the law to continue to let the account sit and just collect fees. Since then you have called on 10/24, 11/1, 11/9, 11/16 requesting the incorrect information be removed from my credit report and a fax be sent to me stating the account has been closed and there is a zero balance. Again today 11/20 I called spoke with manager Brian for the 3rd time - was assured the fax would be sent, the erroneous marks would be removed from my report and the account would show closed. This is effecting the purchase of a home and is costing $1000 a day for each day this request has not been done. I am requesting you please intervene and get this issue resolved prior to me moving forward with a suit and notifying media of the continued customer service issue. I wish there was half a star before the first full one because Credit One company does not even deserve a one star rating. Every other credit card company gives bankruptcy customers a chance to re-establish their credit and after a run around of 3 or 4 phone calls and then me demanding to speak to the supervisor I was told that through the state of Nevada and their corporation that they don't, can't, and won't approve anyone who has a history with bankruptcy. What kind of crap is that? Besides that I got told 3 different stories on my previous account from 3 different people. Man! I'm so pissed right now. I was just trying to start over and they wanted to try and make me reliable for something I wasn't. I closed my Credit One account many months ago. I was going online like clock work to make my payment all of a sudden I cant use the online account. It says my info is invalid of course now you have to call in and they want to make me pay a 9.00 fee just to make a payment. Worst mistake ever getting this card. My October Credit One bill was due the17th, this is my first bill. I have tried and tried to put my bank info on my account continuously improve or pay that way. Every time I go to log in it says there's a problem with my login info. I reset my password every time and it still won't let me in. Now I finally called support since my bill was 2 days late and had them do it by phone costing me $10. They have called me 18 times, yes that is 18 times and its only 4 pm about my 2 day late payment. I tell them every time y'all have already called me. They say I'll put a note on the acct. Upset at this poor operations. Didn't receive September statement. I called Credit One customer care line on 9-9-16 and spoke with Juan said he needed account number to assist me (didn't have on me). Called again on 9-10-16 (chose the Spanish, this time). Juan answered again but this time didn't ask for my account number. I politely asked him to please resend September bill and if the late payment fee can be waived. Juan had a fit! You think I was asking him to pay all my bills. I asked him to relax as I was very calm. I said 'Juan its not my fault nor Credit One's fault things happen. He threatened to report my late payment to the Credit Bureaus wow! Who does this grouchy Juan think he is. All I asked is for the late payment fee be waived that's it. He is very unprofessional, rude, hyper, grouchy etc etc. Sounds as though he doesn't enjoy his job that's not good for you. Anyhow I also think he has the Napoleon complex. All the options for help on the website still do not result in speaking with a helpful and intelligent live human. 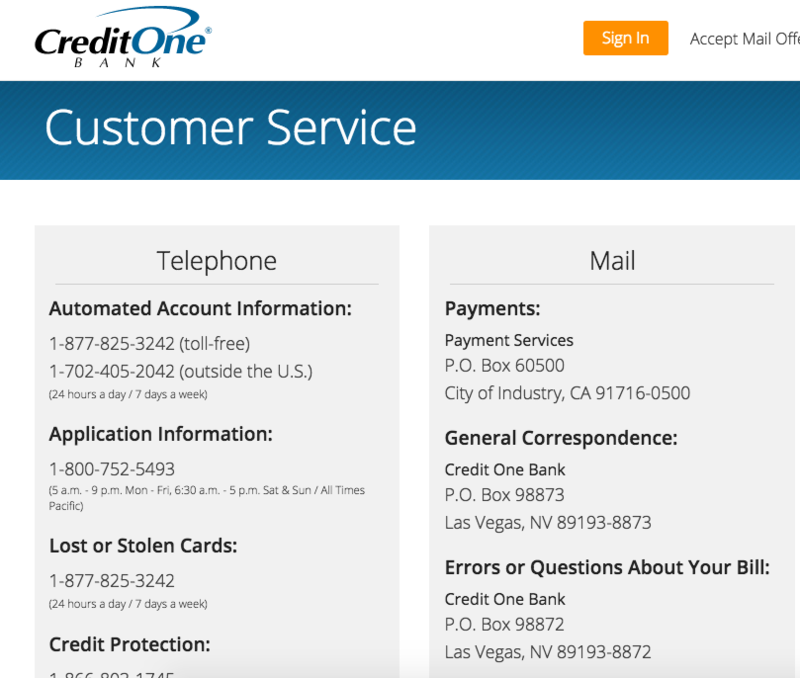 I received a very unfriendly, disrespectful service in while speaking with Credit One yesterday. Although my complaint was heard by an official who, apparently, was informed by the culprit of my dissatisfaction, I am still not convinced that the matter would be correctly handled and the necessary steps taken. Why does it take a full day for a check that I deposit into my account to clear? When it was Credit One, they allowed checks to be available immediately. In addition Credit One allowed for 4 non-Credit One ATM withdrawals a month. On the 5th time, they charged a fee. With First National, one cannot use a non-First National ATM without getting charged a $2.50. Due to this I am forced to drive to the bank just to withdrawal money and oftentimes it is out of the way for me on my daily commute. ATM fees are pure robbery, plain and simple. I highly doubt that it actually costs the bank any money. It's just an excuse for them to take what is yours. I am so fed up with this bank and their policies. On the 4th of April I went to withdraw money to one of standard Credit One banks ATM. It is the only one which is near to my place I tried 1200 refused, 1000 again it refused, 250 done the same thing. The following day I went to my local Credit One branch to lodge the complaint and they told me to wait for 5 days that 5 days is finished. So, I waited and then tried call the branch but I haven't get my money yet. I believe I was a victim of fraud by this bank, taking over 2,500 from me. If I do not get it back soon, I will let the BBB know and the Federal Trade Commission for sure. Credit one bank is a fraud. I still have at lease three more copies of the message when i told them to cancel the credit one bank card to be canceled the 8-15-2015. They have been sending me statements saying i owe them more and more money each month when i sent them a message to close the credit card account and the cut up in bits and pieces credit card the 8-15-2015. I had a investment at Credit One Bank and needed money after 2 months. They charged me a penalty fee. I reinvested more and 4 months later my car broke down and I had to get the investment loose to buy another car. This time they took more for penalty fees, the more I complained the less it helped me, no one was willing to assist me. I even complained to the Credit One corporate headquarters. They said it would take 20 working days, it is more than 60 days and now they don't even answer my emails. I am thinking to take the case to the newspapers or someone else. My balance and available credit was showing difference that's why I called the Credit One Bank customer service. He could not explain this properly. Then I told him I wanted to talk someone else at the corporate level. He spoke with a bad attitude and hung up the phone. I am strongly considering leaving this bank and going somewhere else. 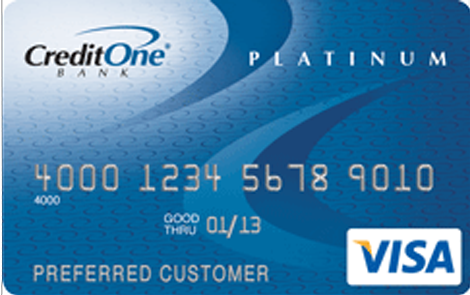 Credit One Bank is easy to get credit cards within a minute. I enjoyed to design my own credit card as per my budget and easy documentation saved my time. I am getting free credit scores and automatic gas rewards for my car services. I really thank Credit One Bank for well managed services and customer centric approach. If you have a plan to get a credit card, log on Credit One Bank website right away and avail the wonderful benefits with special discounts and cash back offers. Make a right choice for right financial management plans. Have feedback for Credit One?